Hikvision DS-7104HGHI-F1 4-Channel 720P HD-TVI / Turbo DVR. Supports HD-TVI & analogue cameras; ..
Hikvision DS-7108HGHI-F1 8-Channel 720P HD-TVI / Turbo DVR. Supports HD-TVI & analogue cameras; ..
Hikvision DS-7208HQHI-K1 8-Channel 720p HD-TVI Turbo DVR. 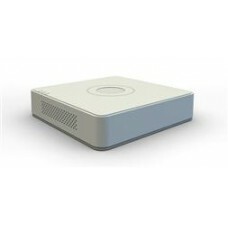 Self-adaptive HDTVI/HDCVI/AHD/CVBS signal ..
Hikvision DS-7116HGHI-F1 16-Channel 720p HD-TVI Turbo DVR. 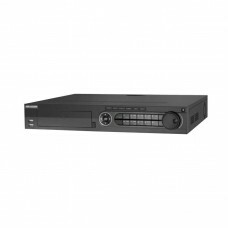 Supports HD-TVI & analogue cameras; H..
Hikvision DS-7216HQHI-K2 16-Channel 1080p HD-TVI Turbo DVR. H.265+/H.265/H.264+/H.264 video compress..
Hikvision DS-7332HQHI-K4 32-Channel 1080p HD-TVI Turbo DVR. Self-adaptive HDTVI/HDCVI/AHD/CVBS..